Be the envy of every nosy neighbor. 1. An inflatable screen to blow up for movie night. Get one from Amazon for $248. 2. One of the longest water slides you can buy (it's 75 feet long). Get it from Amazon for $150. 3. This giant Jenga set that's over 5-feet tall when stacked. Get a set from Amazon for $80. 4. A Cacoon hanging chair to make a cozy hideaway in any backyard. Get one from The Grommet for $340. 5. These inflatable bumper balls so kids can get away with being rowdy. Get a pair from Wayfair for $40. 6. These glowing cube lights that can be used as tables or stools. Promising review: "We put this in our butterfly and herb garden and the kids and adults love it! So nice to have in the summer for great glow. Can't wait to see how it looks in the snow. Great product! Ordered the cube first and then the sphere. Stands up to heavy rain." —Virginia B. Get one from Amazon for $44. 7. 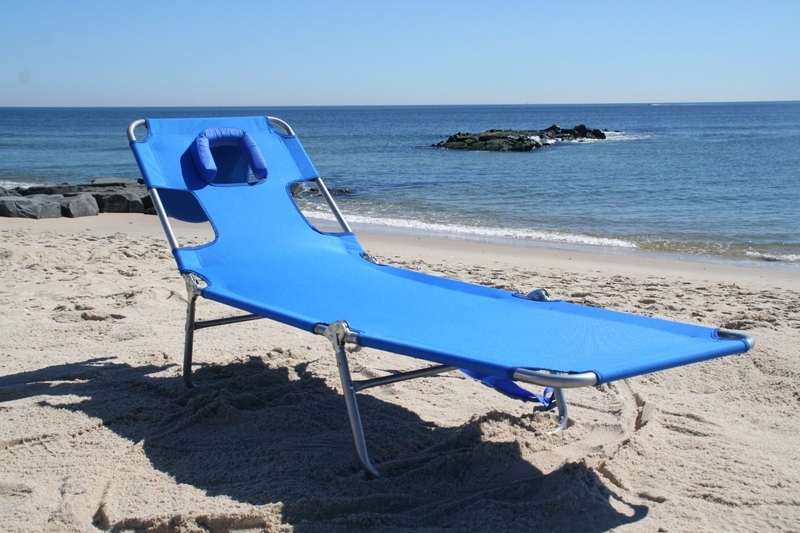 This hammock to make you feel like you're napping on a field. Get one from Studio Toer for $386. 8. A waterproof speaker that can float on the water. Promising review: "My son was thrilled to receive this as a gift! It works perfectly and exactly as described. It's great for when he's with his siblings and friends hanging out in the backyard and swimming in the pool." —Marie F.
Get one from Amazon for $74. 9. This portable fireplace to add some nice ambiance to any setting (indoor or out). Get one from Amazon for $70. 10. This badminton net that sets up in minutes. Get one from Amazon for $48. 11. This 80-foot long zipline for creating a bit of adventure in your yard. 12. 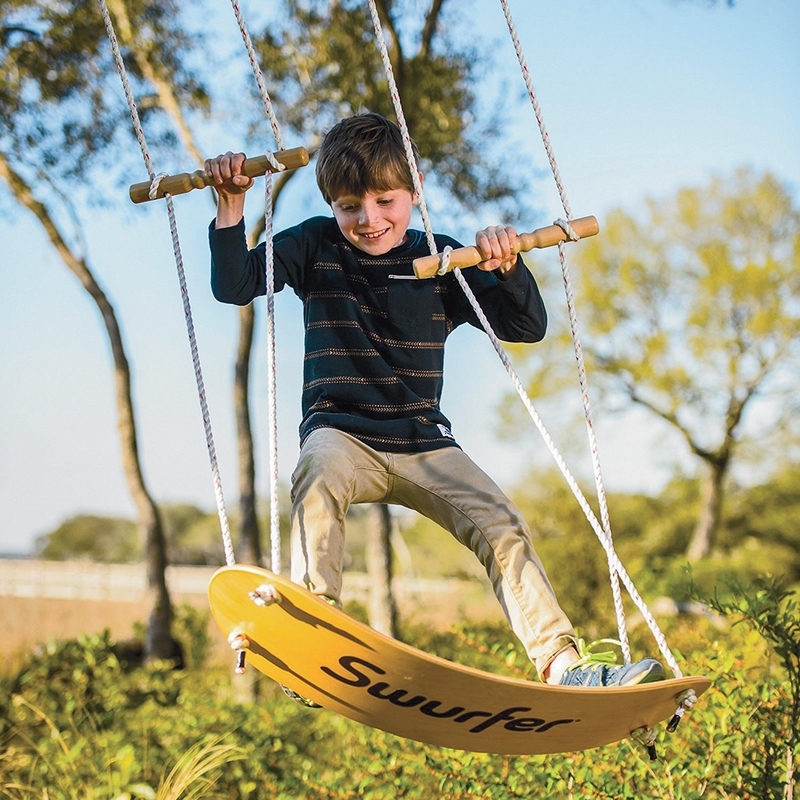 A skateboard swing set that lets you do small stunts. Get one from Amazon for $130. 13. This giant word tile game to play on your lawn. Get the game from Amazon for $180. 14. This Spikeball set that's like a combination between volleyball and foursquare. Get a kit from Amazon for $60. 15. A giant set of bowling pins and ball to really get the ball rolling. 16. A slacklining kit for setting up easily between any two trees to help build balance. 17. These magical pouches that turn your bonfire into a colorful display. Get a pack of 25 from Amazon for $17. 18. A bar table you can pull upward to reveal a cooler for all your drinks. Get one from Amazon for $76. 19. 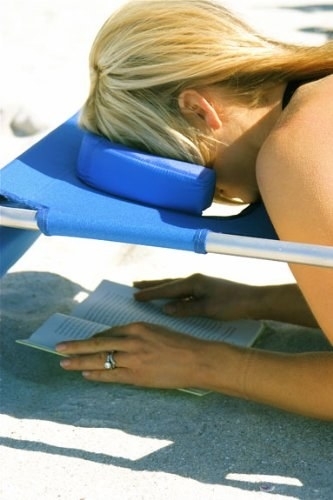 An Ostrich lounger that doubles as a face down reading chair.